At Houston Custom Carpets Flooring & Remodeling we are prepared to meet your every flooring need. When you work with us, you will be able to pick out exactly what you want. We are pleased to bring Houston homeowner’s visions—”from the traditional to the exotic”— to life. Our floor coverings are made from the finest materials and ensure your utmost comfort. Whether your existing floor covering is old and you want to replace it with an updated version of the same material, or you want to switch to something entirely different, Houston Custom Carpets can give you the outcome you desire. At Houston Custom Carpets, we specialize in a whole range of different flooring options. These options include laminate, hardwood, floor tile, luxury vinyl flooring (LVT), and of course, carpet. We also offer a full range of home remodeling services. The type of flooring that will best serve your needs depends on a number of factors. At your complimentary consultation, we will tailor a design based on your flooring preferences. At that time, we can educate you about all the different types of flooring we offer and their benefits. Carpet is all about comport and feeling good underfoot. A good carpet installation will look seamless and last for many years. Our professional installers take great strides to ensure the laying of the carpet is flawless. 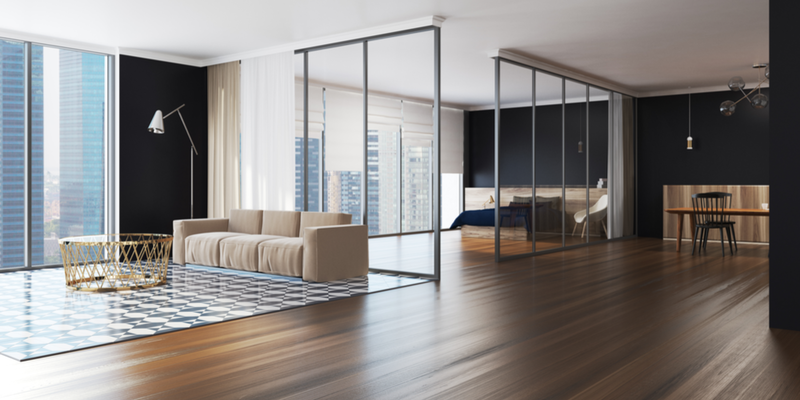 Nothing looks more elegant, natural, and sophisticated than a quality wood floor. We carry a huge variety of natural and engineered wood flooring material to give you exactly the look you desire. If you want a floor that can handle your everyday life then tile is an excellent choice. It comes in an enormous variety of styles and patterns. Your tile floor can look like it has existed for centuries or like it is the most modern element in your home. Literally anything is possible with a tile floor. Do you want a designer look but without the cost? Then laminate flooring could be the answer you are looking for. Laminate flooring simulates wood, because the surface you see is actually a high quality photograph of the desired finished appearance. Whatever type of flooring you eventually decide on, the installation experts at Houston Custom Carpets can make it happen. No matter what your flooring preference, we encourage you to come and visit us so you can see examples of the many types of flooring we offer. Your flooring is important. It is what your kids and pets crawl on, it’s one of the first things visitors to your home notice, and it makes a huge contribution to the look of your home. Simply put: it’s the foundation of your home. Houston Custom Carpets is one of the few Houston flooring companies that will be with you every step of the way as you bring your flooring vision to life and have a convenient experience that leaves you with the flooring of your dreams! Our process starts with thorough analysis and planning. We partner with you and advise on every stage of ideation and design to put our expertise to work for you. Every solution is based on the specific needs of your space. The modern selection of tile is immense. You can find color hues and variations of tiles in all kinds of materials matching every aesthetic. We can help you find a quality solution that meets your remodeling and budget needs. To find out more about flooring installation or remodeling, just contact Houston Custom Carpets. Floor tiles have long been welcome in bathrooms and kitchens, but are now finding their way throughout the house. A tile wall can make an amazing accent or statement piece that enhances your decor or color scheme. Laminate flooring is a great bargain per square foot, making it a popular option for larger rooms built to last for decades and beyond. We have the hardwood flooring Houston trusts! Hardwood flooring installation is fast and easy when you leave it to the experts. Every step is handled by pros so you can rest assured your space remains beautiful and durable.